Tiny baby mouse is a quick and adorable project. Sleeping Baby is the newborn member of the mouse family, but you can make it also separately as an addition to crocheted toys. Please also see the patterns for Lisa the Mommy Mouse and Daddy Mouse. Link to that pattern is below. 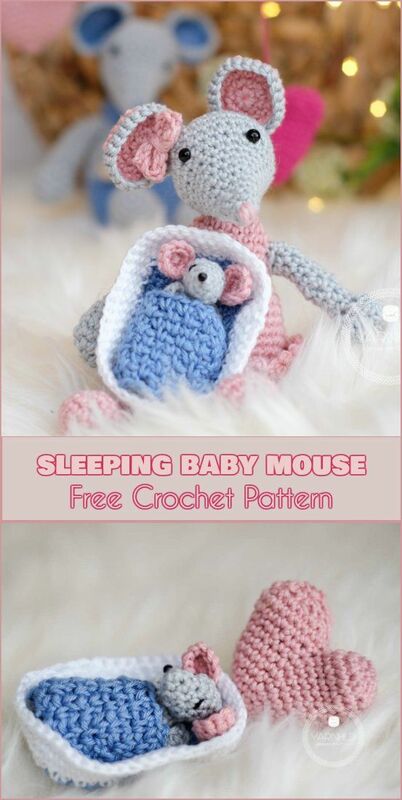 Sleeping Baby Mouse – Free Crochet Pattern is >>here< .